At least, that’s according to the analysis of YouTuber Matt Solazzo, who recently published a video detailing Hawkeye’s impressive kill count in the Avengers movies. Turns out, he’s, uh, actually pretty valuable to have on the team, at least so long as you’re fighting aliens or robots or any other horde-style enemy. 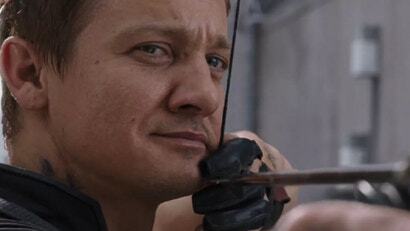 During the Battle of Manhattan and the Battle of Sokovia, Hawkeye racked up an impressive total of 40 on-screen kills, with a good deal more if we assume that every shot Hawkeye made was a successful one, which is reasonable, considering, y’know, he’s Hawkeye. So while Hawkeye fans have a lot to complain about, what with the memetic image of their hero being pretty useless, the movies don’t seem to agree. If you’ve got to fight, you’re gonna want Clint on your team. And some extra arrows, if you’ve got the budget.